Advertising for Health Care Providers takes a great deal of attention to detail and focus on what sets a particular company apart from the slew of others in the industry. At Admail West, we work with you to find the thing that makes your company unique in the health care market space. We pay attention to what makes your brand stand out and how to increase leads, awareness, and finally, revenue. 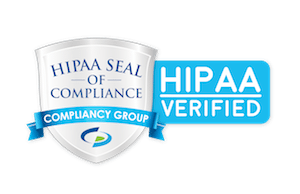 At Admail West, we understand that data security and compliance with a wide variety of HIPAA regulations is of the utmost importance. We operate with an eye on the special relationship that exists between health care providers and patients. At Admail West, it is important to us to respect the trust between your company and your clients. We build marketing communications that help retain and inform patients while ensuring confidentiality and discretion. Why Admail West for your Health Care Advertising Needs? With the various changes to health care laws, Admail West’s experience and ability to adapt will become increasingly more important to health care marketers. Just as patients trust their doctor or nurse to provide excellent care, we want to provide that same level of support and care to our clients. We help build up practices and providers with integrity and focus on quality. The Admail West Team is equipped to help any Health Care Provider with any form of client relations and advertising. Contact Us Today For More Information On Health Care Providers Advertising.